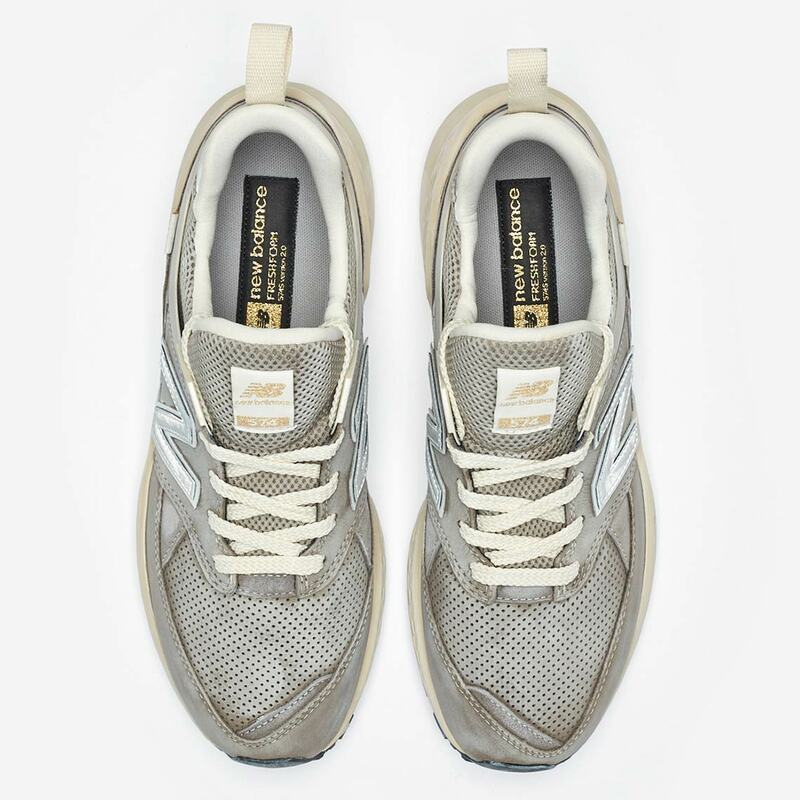 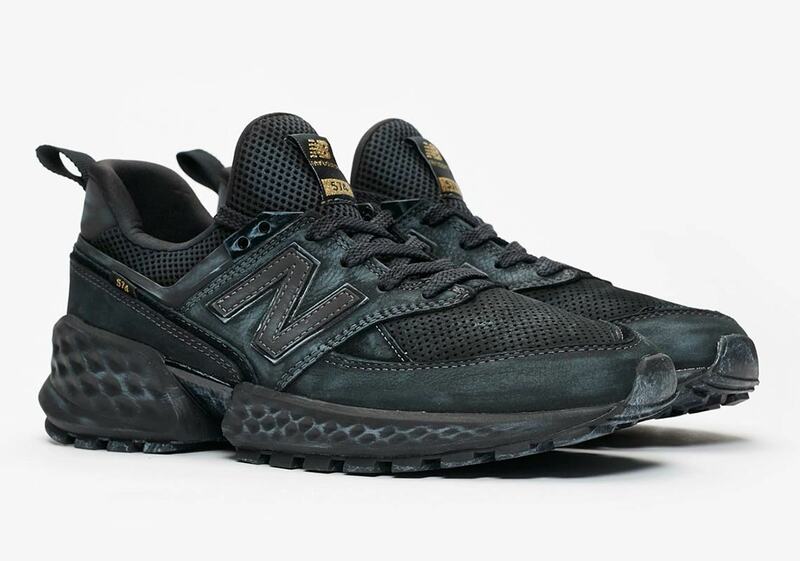 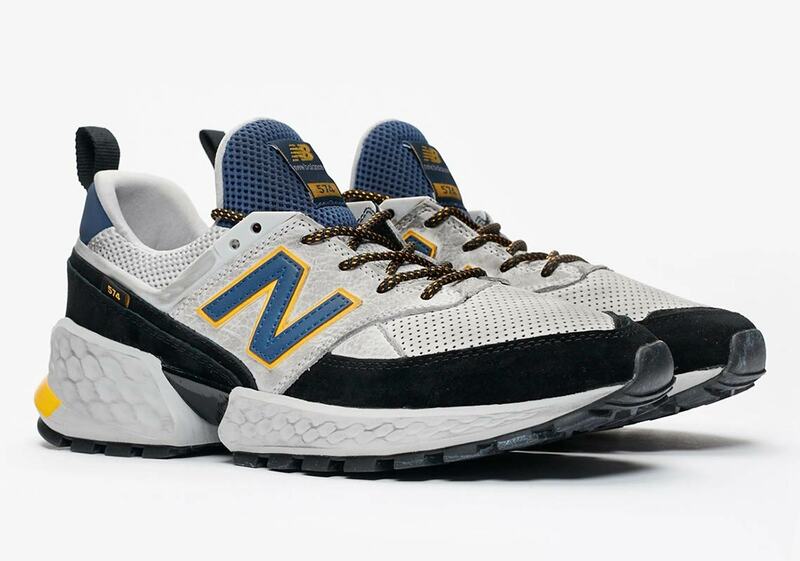 Although New Balance boasts an extensive selection of classic running silhouettes, the New Balance 574 is arguably the most popular of the bunch. 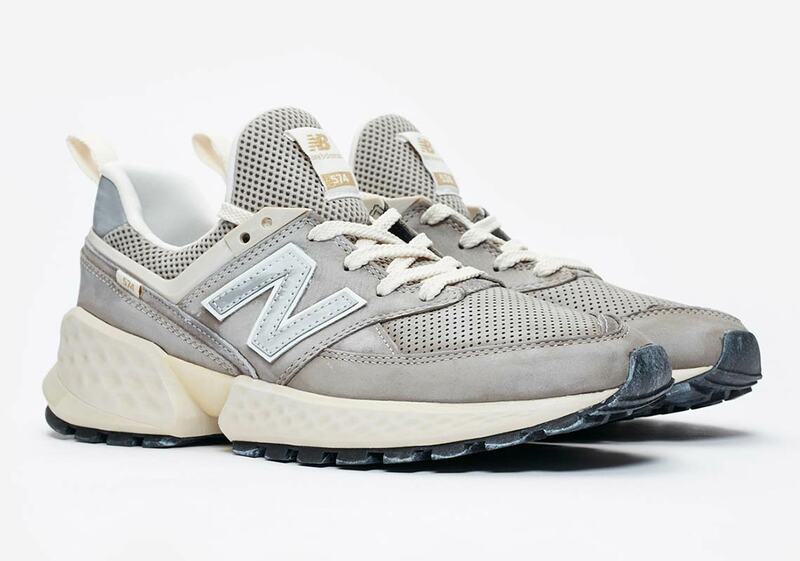 Loved for its classic look and versatile last, the 574 holds a place in the rotations of many sneakerheads around the world. 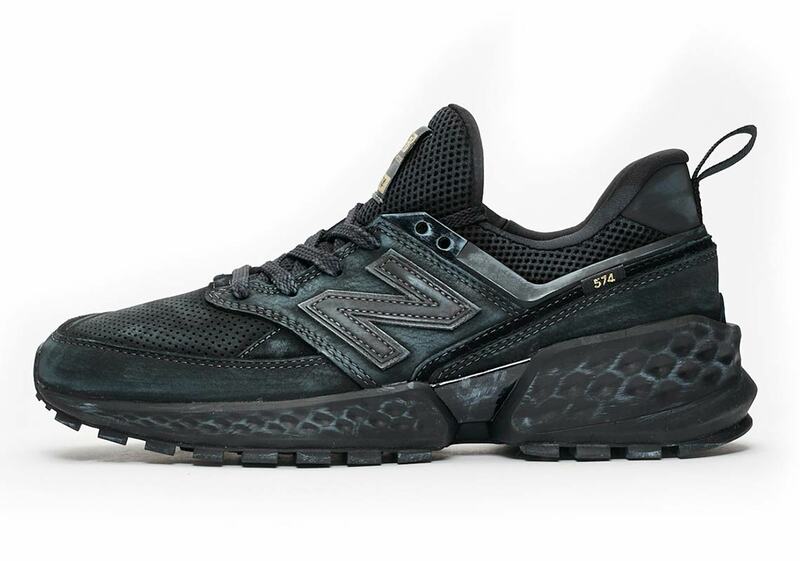 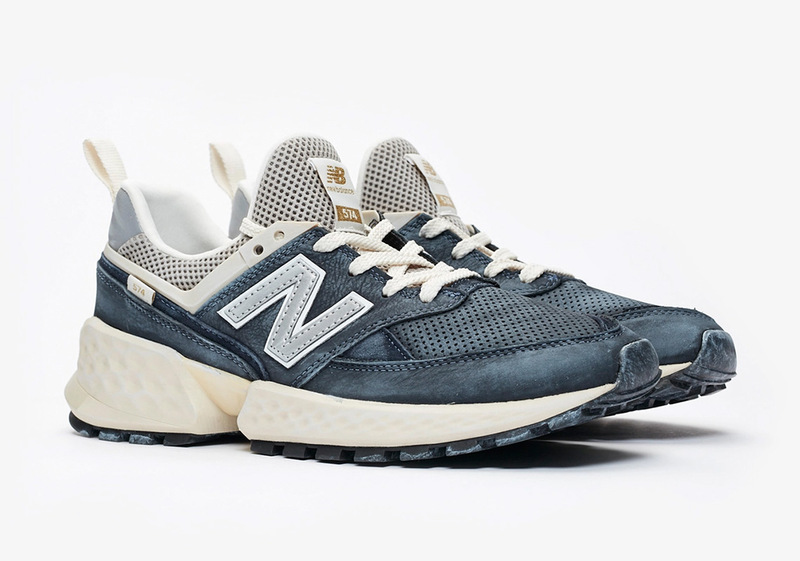 Now it’s set to release in a new silhouette that keeps its rich heritage alive but doesn’t miss an opportunity to add a few modern-day design tweaks: the MS574. 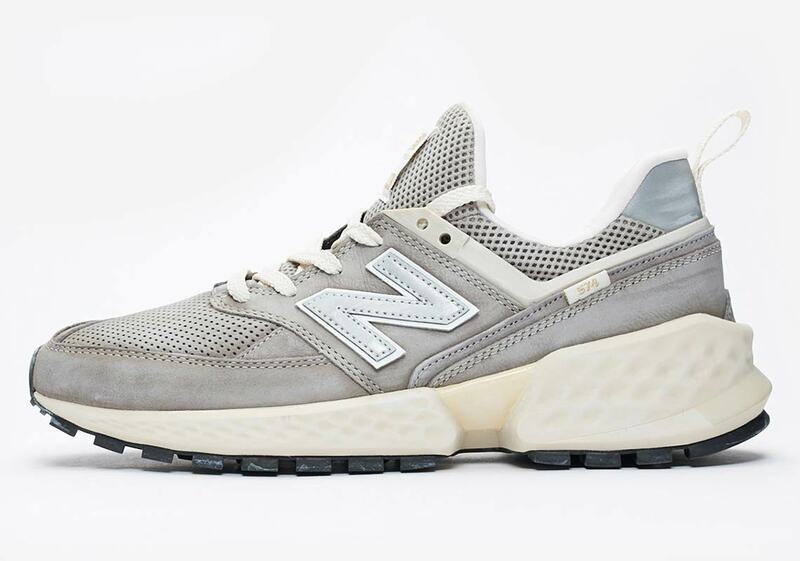 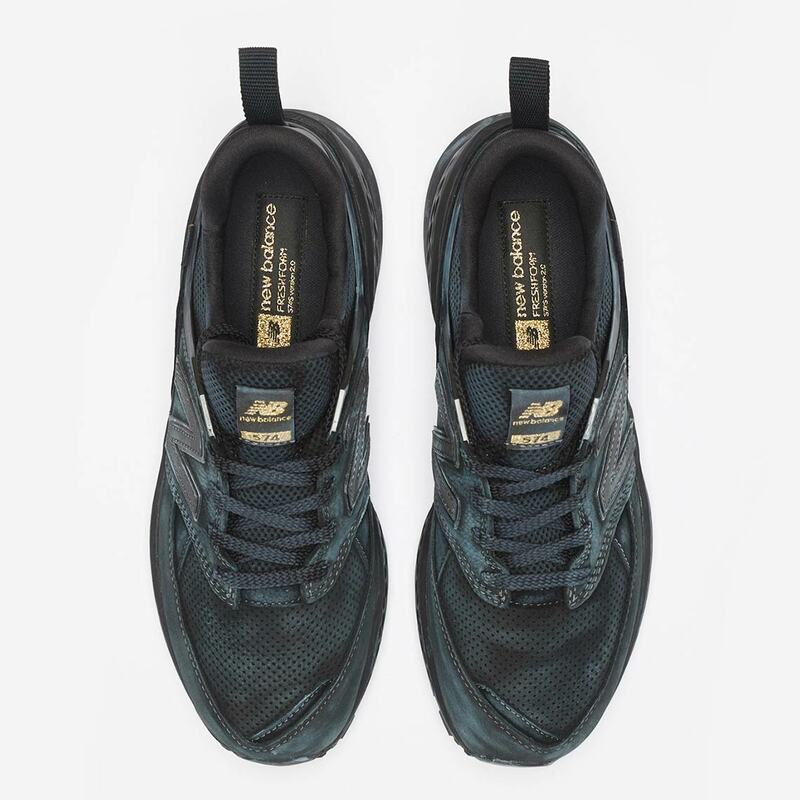 The toebox, midfoot, and heel all keep it classic, but the differences are noticeable elsewhere, as the knit tongue rises high above the rest of the upper, a heel tab adds a little extra flair, and weathered detailing also makes an appearance. 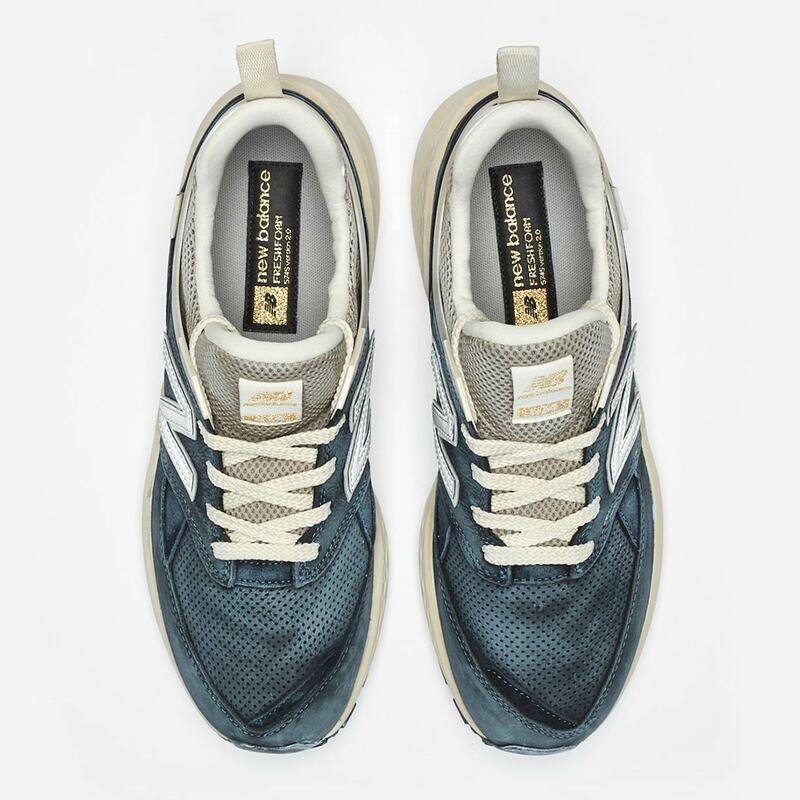 Gone is the traditional midsole, replaced by a two-piece Fresh Foam version for exemplary cushioning and lightweight support. 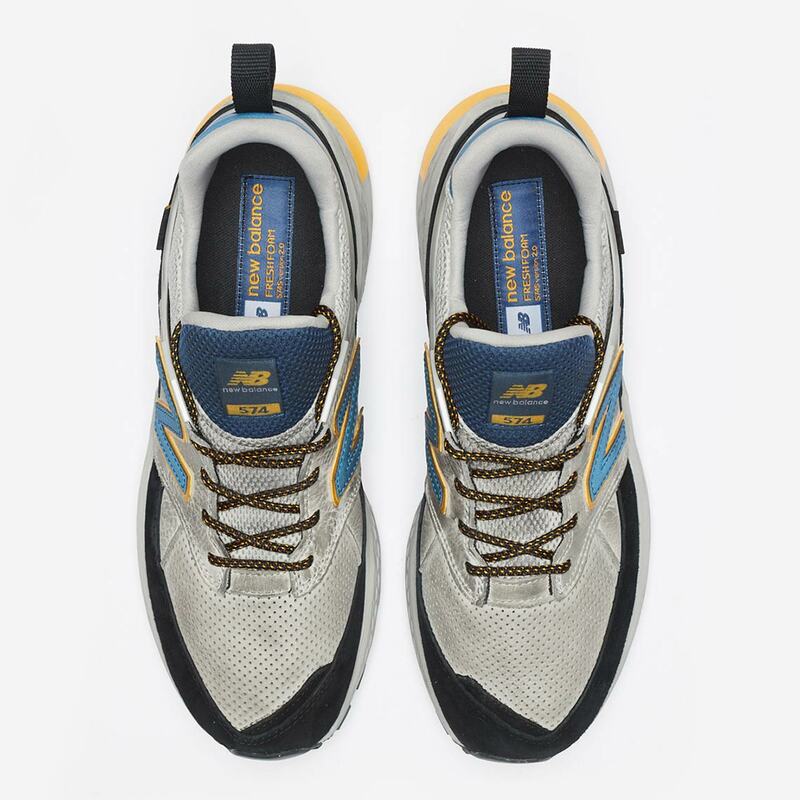 The hybrid look is then completed with a grippy outsole. 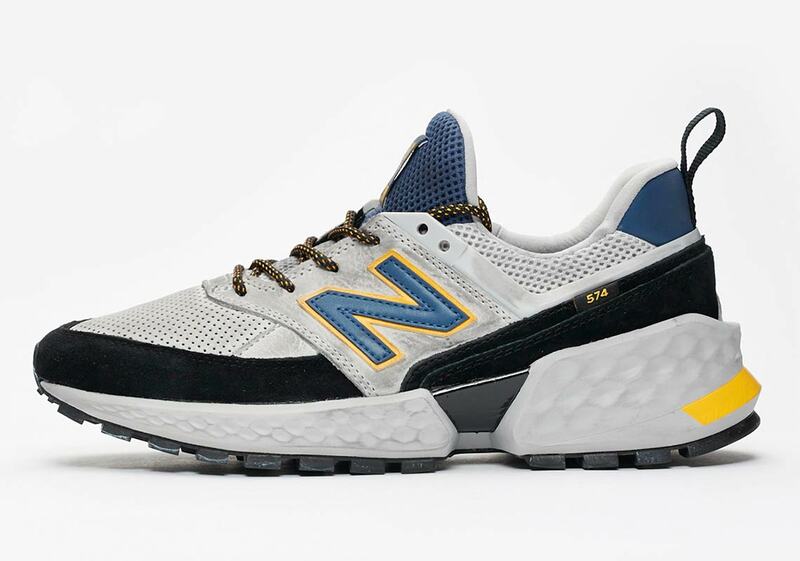 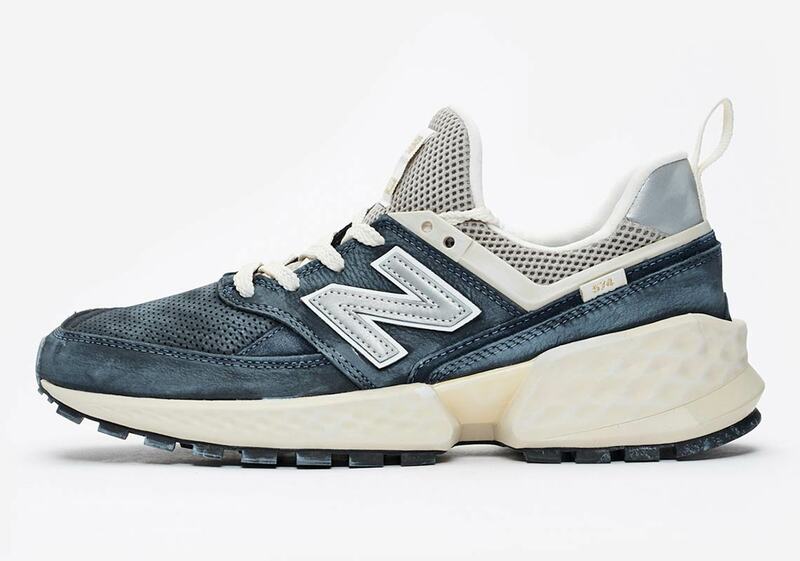 Arriving in a quartet of heritage colorways — navy, grey/yellow/navy, grey, and black — these new NBs will release December 1st, so get a good look at each pair below, and be sure to let us know which is your favorite.